Clients, you know we love rainbow colored hair as much as you do! But before we commit to working to achieve the color of your dreams, we want to make a few things clear so that there are no misunderstandings. 1. It’s going to take time — aka multiple appointments. Before we take you to great, colorful heights — it’s going to take some work to get you light enough for that unicorn color! If your hair is virgin, naturally dark or has EVER been colored darker, it’s going to take longer to achieve the color you’re dreaming of. Already blonde? It will still take a couple of processes to prepare your hair for a trendy pastel. We’ll keep your hair looking good in-between appointments. 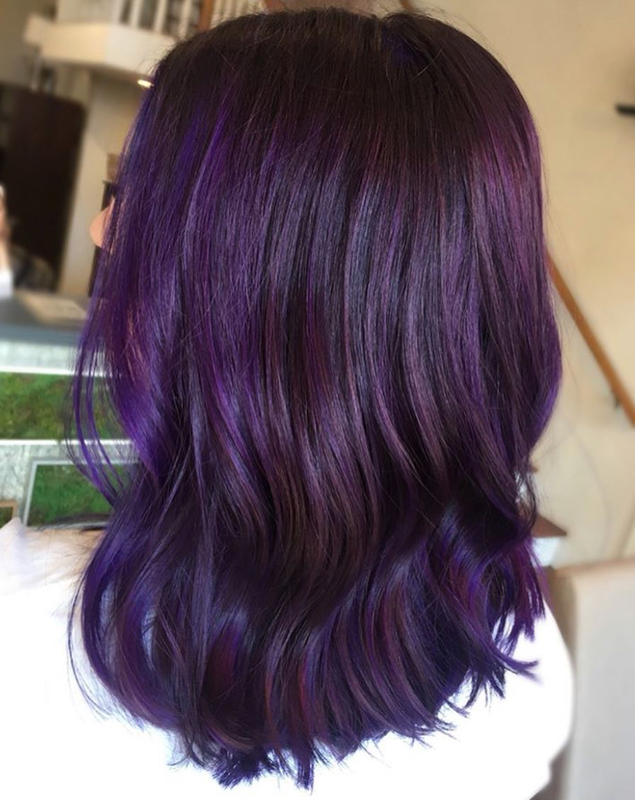 If you want lavender, we can start with a darker violet and slowly go lighter! 2. You’re going to be in the salon for a long time. 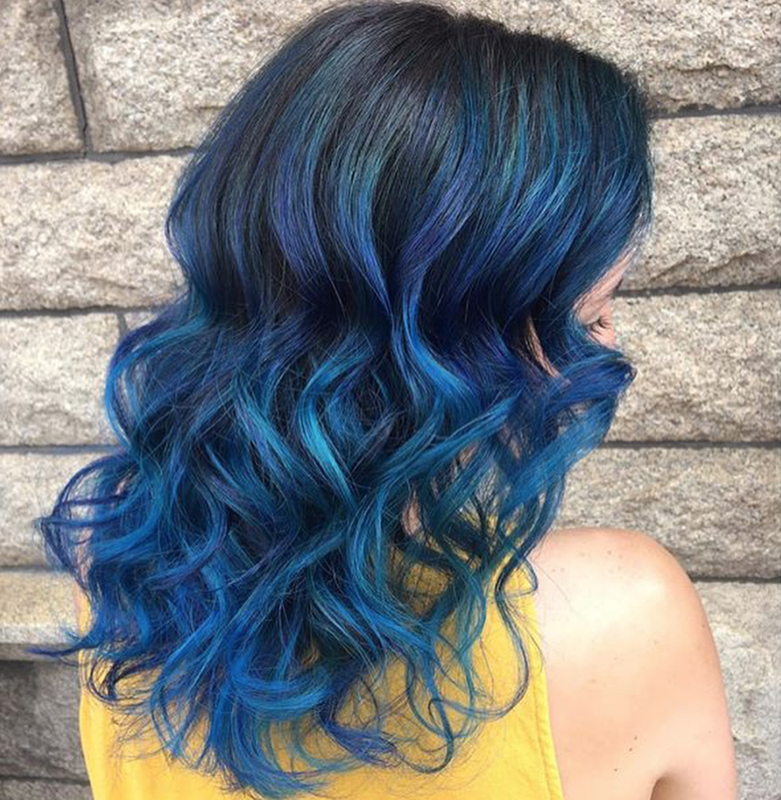 What does it take to achieve a fashion color? Extracting previous color, lightening once (or twice! ), applying color, cutting and drying—basically, expect to be here for awhile.Between every step, you’ll need a blow dry and treatments to keep your hair happy and healthy. Expect to be in the salon 3-8 hours per visit! Lots of steps = $$$. 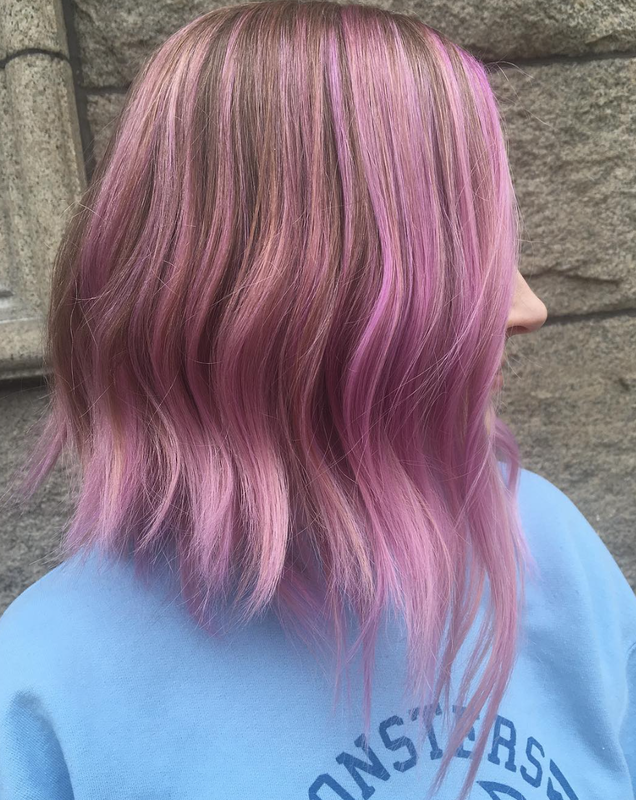 When you’re working toward a fashion color, you’ll get what you pay for, and a major transformation costs your stylist lots of time and money. Talk to your stylist about how much you are willing to spend, so you can set a plan and a set of expectations that are realistic. 4. You have to be blonde to achieve a fashion color. 5. Fashion colors are high maintenance and fade quickly. Fashion colors are direct dyes for TEMPORARY color, so even with proper care, they will last 4-8 weeks. Pastels have a shorter lifespan because they are sheer and light, typically lasting from 1-2 weeks. You can maintain color more easily with aftercare products recommended by your stylist. 6. We don't want to disappoint you, compromise your hair, or our reputation. We may not be able to take on your request. This is not personal -- it's just a fact. Sometimes, clients come to us with requests that will not work given the condition of their hair. No matter how hard we may try, we may not be able to achieve a particular result because your hair may not be in the optimal condition for the color you wish. We will be honest with you and tell you exactly what we can and cannot do. 7. This is the time for true confessions. You need to be brutally honest with us. We're talking FULL history. Yes, we want to know what color you were when you were as a child! We want to know what you did to your hair during your college years. All of this history helps us use our expertise in choosing the specific products for your service before, during, and after your color treatment. If you omit details and your hair becomes damaged -- that is on you. Honesty is indeed the best policy when you are in our chairs. 8. Tell us how you like it -- but please don't wait. Too bright? Too dark? We understand, but you need to live in it for a day or two to adjust to your new look. We will gladly work with you if you contact us within 48 hours of receiving your service. We want our clients to look and feel their very best.